Naturopathic medicine looks at the health of the whole body to treat illness and improve overall health. Naturopathic doctors (NDs) provide support and improve the ability for people to heal, through the use of natural treatments. This style of care blends advances in science-based medical research with centuries old, natural, non-toxic therapies, improving the health of people from infancy to old age. NDs use seven primary modalities to help their patients achieve improved health, including botanical medicine, clinical nutrition, acupuncture and Asian medicine, homeopathy, hydrotherapy, physical medicine and lifestyle counselling. 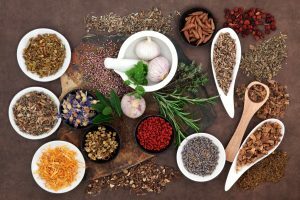 All Naturopathic Doctors in Ontario are trained in all seven treatment approaches; however, there are many styles of practice with individual Naturopathic Doctors emphasizing different treatment approaches. Dr. Meszaros’ practice focuses on clinical nutrition, acupuncture, homeopathic medicine, herbal medicines, therapeutic prescribing and lifestyle counselling. Naturopathic Doctors cooperate with other medical practitioners referring patients to other practitioners for diagnosis or treatment when appropriate.